BEND, Oregon — Locals have dubbed Bend “Beer Town USA” and “Beervana.” There are more than 20 craft breweries in this central Oregon high-desert town of 91,000. But man cannot subsist on beer alone, even if it’s some of the best beer in the country. Whether the city’s brewers have set a high bar for quality or because Bend producers and growers benefit from the highest average number of sunny days in the state — 158, with an additional 105 days that are “mostly sunny” — restaurants here innovate and execute far above what you’d expect for a former mill town. Work up your appetite by walking along the Deschutes River, which flows through downtown, hiking a nearby volcano or mountain biking; there are hundreds of miles of trails in the area. Try not to stuff yourself with the samples of baked goods that are often out near the pastry case just inside the entrance of McKay Cottage Restaurant (themckaycottage.com; 541-383-2697; 62910 O.B. Riley Road), even if you’re here at 9 a.m. on the weekend and there’s a 45-minute wait for a table. You’ll want the room to eat every last bite of Carlton’s Benny ($13.50), which tweaks the traditional dish by using a rosemary English muffin and Dijon hollandaise. 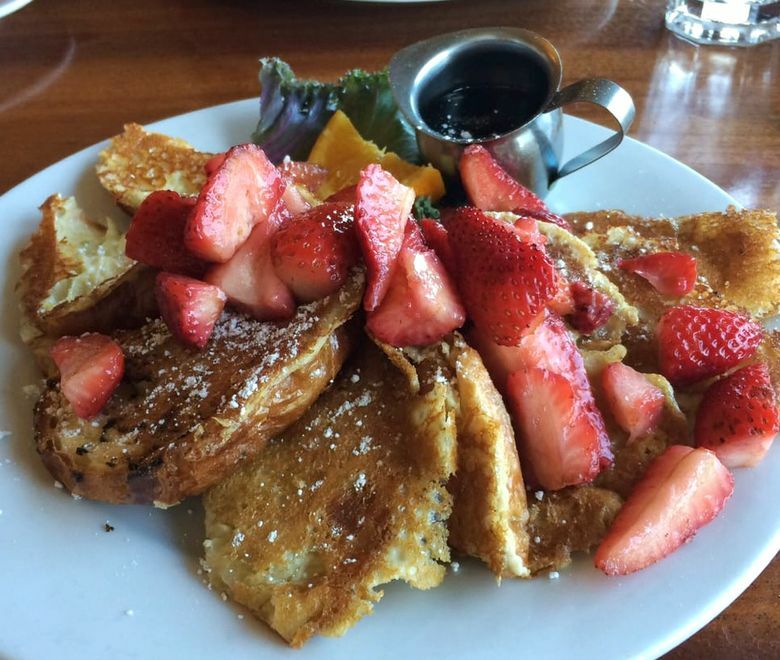 If you prefer your breakfast sweet, go ahead and get a pecan sticky bun, or go big with the French toast ($10.95), which doesn’t bother with standard bread: McKay Cottage uses croissants. Order the whole plate topped with bananas ($1.95) or strawberries ($2.25). When is it OK to sample the sweets here? I allow myself a bite when the wait for a shaded table on the cottage’s lawn is twice as long as for an inside table. The inside of this historic Craftsman bungalow is grandmotherly cute, but there’s no beating an alfresco breakfast here. Yes, it’s worth the drive south of downtown to the land of such chains as Subway and KFC and the Bend Factory Stores for lunch at Wild Oregon Foods (wildoregonfoods.com; 541-668-6344; 61334 S. Highway 97, Suite 360). 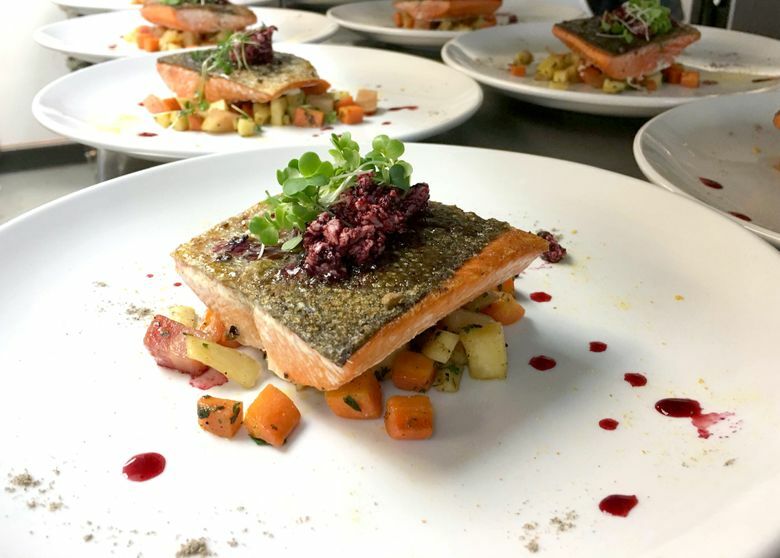 Owners Sarah and James Fink were fine being sandwiched between the Columbia and Nike outlets if it meant they could serve locally sourced foods at a modest price point. The same thinking went into the decor — “The minute you start doing something fancy, you have to recoup those costs,” Sarah says. One bite of the Rachel (roasted turkey) and Reuben (braised corned beef) sliders (mix and match three for $12), served with house-made smoked aioli, pickled cabbage and Havarti on marble rye buns, and you won’t care that the tables, chairs and carpet are left over from the previous restaurant in the space. James’s brother Michael manages the bar, which has a lunch-friendly cocktail program with “medicinal elixirs” such as the Beet Gingeration ($9, with Cascade Potato Vodka, beet and ginger juice, ginger beer, and lemon) and the Golden Temple ($9, with Sailor Jerry Spiced Rum, carrot/turmeric juice, turmeric and ginger water kefir, and coconut milk). Zydeco Kitchen and Cocktails (zydecokitchen.com; 541-312-2899; 919 N.W. Bond St.) has an expansive wine list highlighting Northwest wineries, bottles of beer from some of Bend’s most interesting craft breweries, such as Ale Apothecary, and its cocktails sometimes feature such local distilleries as Crater Lake Spirits (in the Tree Hugger, $11, with Crater Lake Gin, Clear Creek Douglas Fir Liqueur, lime). So arrive before your reservation and enjoy a drink at the bar, which has a casually sophisticated vibe, before moving on to dinner. 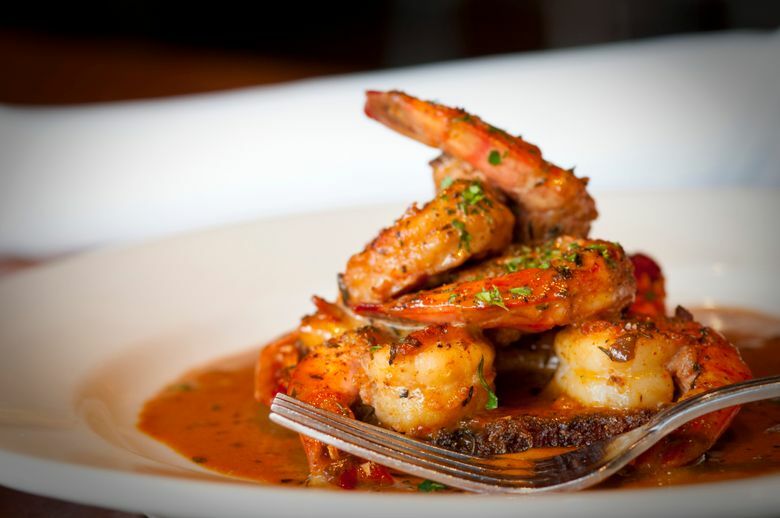 When it’s time to eat, dive right into Zydeco’s Creole- and Cajun-inspired menu with artichoke and corn fritters ($10) and barbecue shrimp served with a Southern grit cake ($14). You might be able to persuade your dining partner to go halvsies on entrees so you don’t have to choose between the shrimp etouffee with basmati rice ($23) and the blackened redfish ($27), topped with a house-made sauce. Dina Mishev is the editor of Inspirato and Jackson Hole magazines. Find her on Instagram: @dinamishev.